Queue Detection System - Wanco Inc. The Queue Detection & Warning System alerts drivers of traffic conditions in work zones or congested areas. 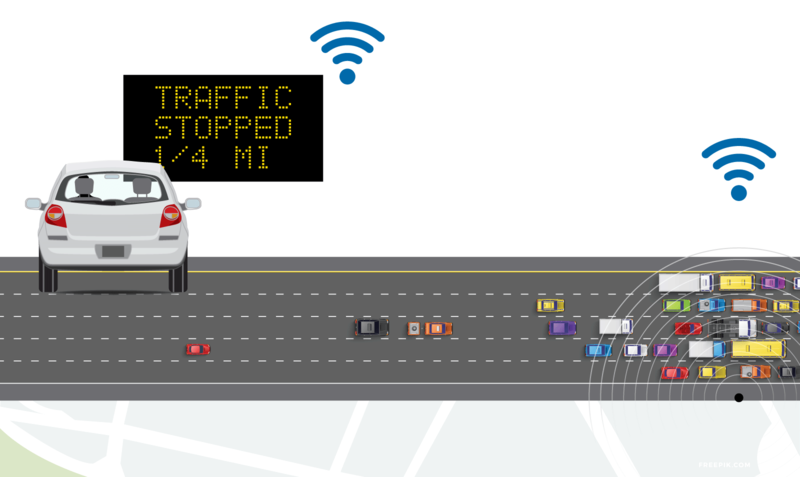 The system uses real-time traffic sensors located upstream of stopped or slow traffic in order to warn drivers ahead of time and reduce the risk of accidents and injuries. The system includes onboard GPS for tracking, an easy-to-use sensor and an onboard processing system that displays real-time data. All data is displayed on variable message signs, which operate 24/7 to keep drivers informed and alert at all times.